Faith is not in decline around the world. Religious affiliation is growing and faith remains a vital part of the life, culture, thinking and behaviour of individuals in Australia, positively impacting society and culture in many and varied ways. 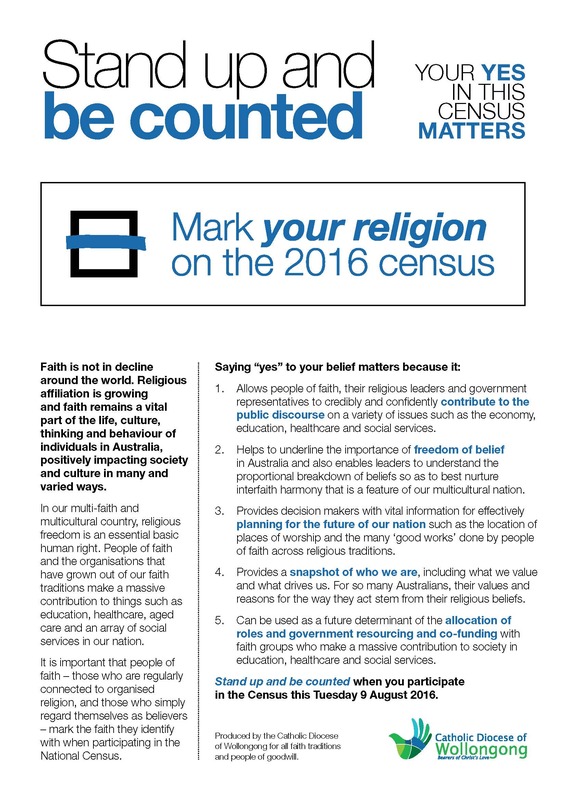 It is important that people of Faith – those who are regularly connected to organised religion, and those who simply regard themselves as believers – mark the faith they identify with when participating in the National Census. Download document here.